Flairs digital prints 2012-13 were revealed just now by Naureen Fayyaz. Interesting and unique prints are included among the digital prints by Naureen Fayyaz. The dresses shown in the pictures of the collection look great for casual wear. 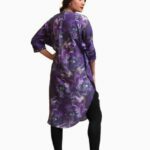 They include medium-length and long shirts along with palazzo pants and tights. 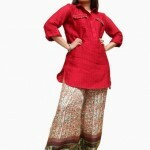 Flairs digital prints 2012-13 for women are quite stylish as they have been created as per the current fashion. Since there is a craze of digital prints these days, Flairs digital prints 2012-13 by Naureen Fayyaz will be appreciated by many women for sure. Flairs is a new brand in the market. It was launched by Naureen Fayyaz. The stylish dresses in the summer collection 2012 by Flairs have made it quite popular among the fashionable women in Pakistan. 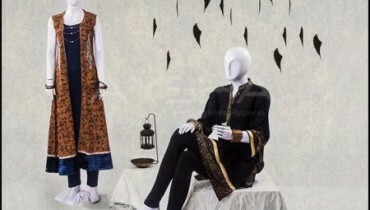 It is provides dresses with nice prints and pattern and embroideries.